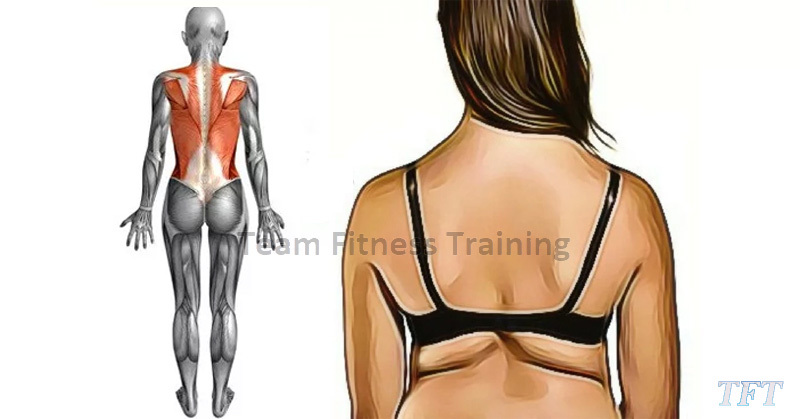 The most common problem is that they do not do the appropriate exercises that will help them to effectively remove the fat of the back. Today we present fitness exercises that will help you remove the excess fat on your back. Because even the fittest women become sensitive to an annoying bulge. 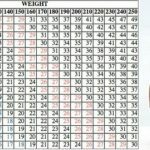 They look from the sides of the bra, through the sleeve of the tank, or through the neckline of a dress without straps, so if you want to feel more secure in any clothes you wear, do these exercises below, designed and demonstrated by certified fitness trainer, health and fitness trainer Elizabeth Bracero, to tighten your chest and shoulders. You should do up to four series of 12 repetitions of each exercise and stick to several of them in your regular routine preparation or fill the entire routine in the row several times a week and you will get amazing results. -First, you need to get into plank position with your palms on the floor, your wrists directly beneath your shoulders, and your fingers facing forward and then your feet should be hip-width apart. And then your body should form a straight line between the top of your head and your heels. Next, you need to keep your shoulders away from your ears, bend your elbows to lower your body in a straight line toward the ground until your forehead nearly touches the floor and then press into your palms to extend your elbows and bring your body back to starting position. -To do this exercise first you need to grab a 6- to 15-pound weighted bar (or dumbbells of equivalent weight) with an overhand grip, hands shoulder-width apart and then you need to stand with your feet shoulder-width apart. Next, you should exhale as you bend your elbows out to the sides to lift the weighted bar to shoulder-height and then inhale as you slowly lower the bar back to starting position to complete one rep.
-For this exercise you should also need to grab a 6- to 15-pound weighted bar with an overhand grip, hands shoulder-width apart and then to stand with your feet shoulder-width apart. Next, you need to keep your arms as straight as possible (without locking the elbows) and to exhale as you lift the weighted bar until it’s higher than your shoulders and next to inhale as you slowly lower the bar back to starting position to complete one rep.
-You need to grab a 5- to 10-pound dumbbell in each hand and then to lie on your back on a mat or bench and hold the weights together above your chest with your palms facing each other and your arms nearly straight (elbows should be slightly bent). Then from this position, inhale as you slowly open the weights out to the sides with control and then exhale as you engage your chest to bring the weights back to starting position. That’s one rep.
-Just like in the previous exercise you need to grab a 5- to 10-pound dumbbell in each hand and then to stand with your feet about shoulder-width apart and next you need to keep your knees slightly bent, hold the dumbbells in front of your thighs with the palms of your hand facing your thighs. Next, think you need to do is to keep your arms straight with a slight bend in the elbow and then exhale as you raise the left dumbbell straight out the front of you until it’s just above shoulders-height and next inhale and slowly lower the left arm back to starting position. Then you need to repeat on the opposite side to complete one rep. and continue alternating. -And also in this exercise, you need to grab a 5- to 10-pound dumbbell in each hand and then you need to lie on your back on a mat or bench. Next, you need to extend both arms. And then hold the weights directly over your chest with your palms facing your feet. And then from this position, raise both weights overhead. And then lower them toward the floor without touching and next, you need to engage your chest and raise the dumbbells to return to starting position and that’s one rep.